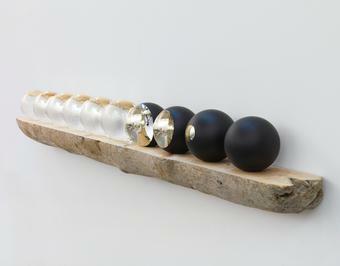 In Life of a planet, a sequence of ten mirrored glass spheres rests on a piece of driftwood. 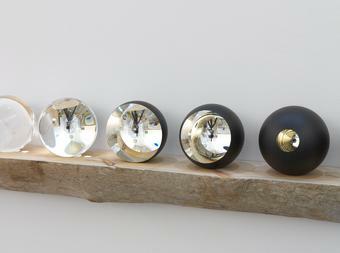 Through a hand-silvering process, the spheres’ surfaces have been covered with a mirror finish, over which black paint has been applied. 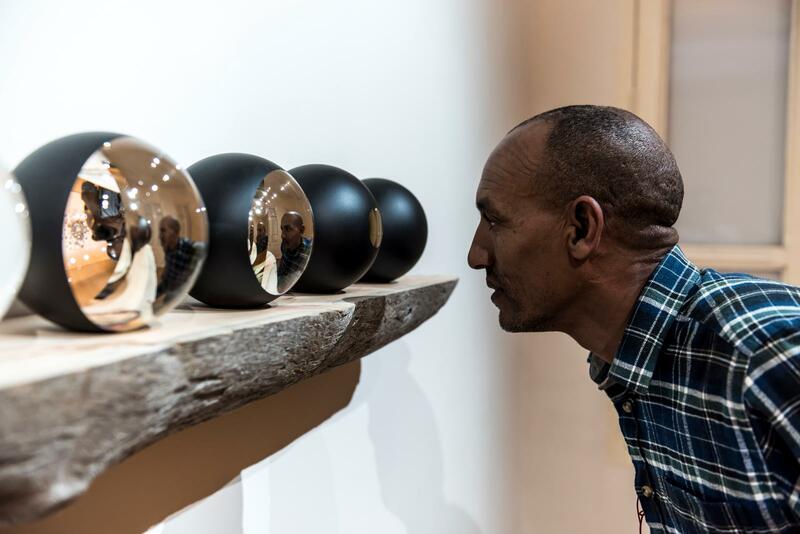 Between the transparent sphere at the work’s left and the fully painted – and thus non-reflective – sphere at the right, the mirroring grows progressively from sphere to sphere: first as a small circle on the sphere’s far side, then slowly consuming the surface until all that remains is one small aperture into the sphere. 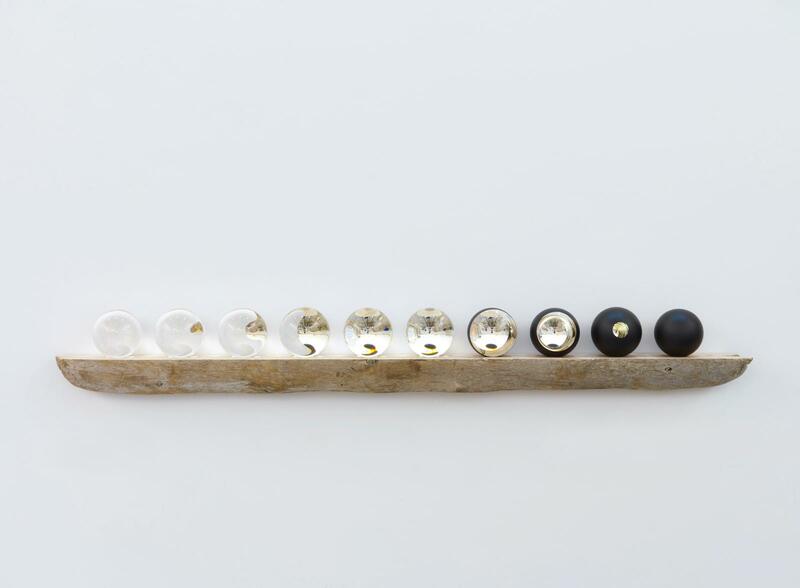 This optical device confronts viewers with variations on an inverted mirror image of themselves and the surrounding space.